A rented tuxedo is like a rented car. Yes, it is convenient, but you feel uncomfortable in it and have no idea who has used it previously. Plus, everyone can tell it’s not yours. 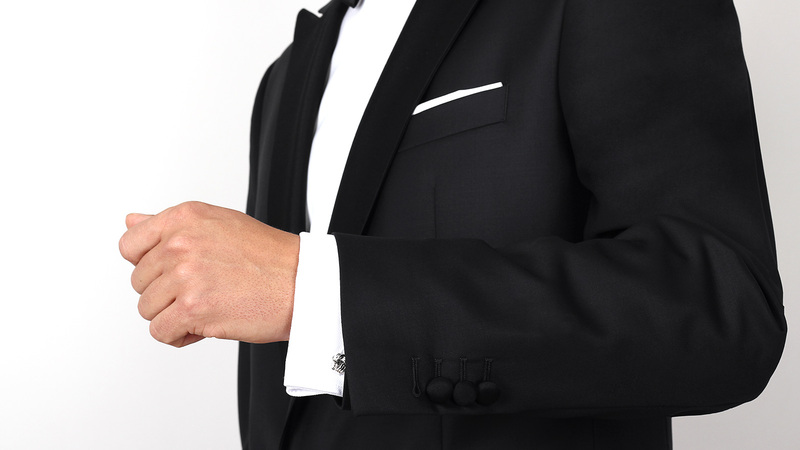 Wearing your very own custom-tailored tuxedo, on the other hand, is like driving your dream car. It feels right and it looks right. It fits right as well and gives you by far the most grown-up and manly experience clothes could ever offer. Our custom-tailored Premium Black 2 Piece Tuxedo is made from the softest Italian Super 140s wool, woven in Biella, Italy. It is a classic, timeless choice for the refined gentleman. 100% SUPER 140s WOOL All Seasonal (8 oz). 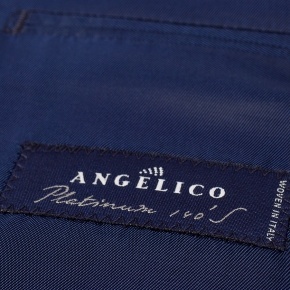 Woven in Italy by Angelico. 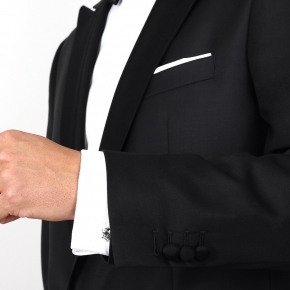 The style of this tux is very classic. The fabric look and texture is amazing. The measurement process, which mostly relies on other suits you already own, ensures you receive a perfect fit.